Manhattan District Attorney Cyrus R. Vance, Jr., today announced the sentencing of WALTER WALKER, 31, to 20 years in state prison, and EARL CAMPBELL, 25, to 16 years in state prison for their roles as the ringleaders of two separate illegal trafficking organizations that moved guns from North and South Carolina and then sold them to undercover detectives in New York City. On December 19, 2014, WALKER pleaded guilty in New York State Supreme Court to two counts of Criminal Sale of Firearms in the First Degree, as well as one count each of Criminal Possession of a Weapon in the First Degree and Conspiracy in the Fourth Degree. On April 13, 2015, CAMPBELL pleaded guilty to one count each of Criminal Sale of Firearms in the First Degree, Criminal Sale of Firearms in the Second Degree, and Conspiracy in the Fourth Degree. 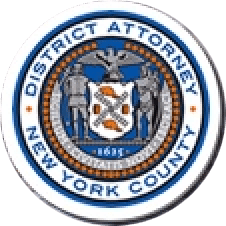 Both prosecutions were conducted by the Manhattan District Attorney’s Violent Criminal Enterprises Unit following an investigation spearheaded by the NYPD’s Firearms Investigation Unit and the Office of the Special Narcotics Prosecutor. The investigation resulted in the indictment of 19 individuals and 254 illegal firearms being removed from city streets – the largest seizure of illegal guns in New York City history. All 19 defendants have pleaded guilty, and combined, face sentences of more than 100 years in prison. According to WALKER’s guilty plea and statements made on the record in court, from September 2012 to July 2013, the defendant met with an undercover detective 19 times and sold 116 guns for a total of approximately $82,000. The guns included five assault weapons and a machine gun. All but two of the weapons were operable. WALKER frequently made trips by bus to New York City from his residence in North Carolina for the purpose of selling the firearms. Many of the sales took place in Brooklyn, where co-defendant OMOLE ADEDJI, 32, helped arrange the transactions with the undercover officer. ADEDJI pleaded guilty to Criminal Sale of Firearms in the First Degree and Conspiracy in the Fourth Degree. Several of the sales took place at a Brooklyn rap studio where five co-defendants in the case – all of whom have accepted criminal responsibility by pleading guilty – were present and at times assisted WALKER while the transactions took place. WALKER and the undercover detective relocated their meetings to the Lower East Side in April of 2013. In order to obtain the guns and ammunition, WALKER also relied on a network of several individuals from Sanford, North Carolina, all of whom were charged in the indictment and later pleaded guilty to their roles in the conspiracy. According to CAMPBELL’s guilty plea as well as statements made in court, from October 2012 to July 2013, the defendant sold 90 guns – 82 of which were operable – for a total of approximately $75,000 during the course of 24 meetings with an undercover detective. The guns included assault weapons, as well as rifles and shotguns. Throughout this period, CAMPBELL would travel by bus from his home in South Carolina to New York City where – often with the assistance of co-defendant ADEDJI – he would sell the weapons to the undercover detective at locations in Brooklyn and later near his bus stop on the Lower East Side. CAMPBELL also received the assistance of several co-conspirators from South Carolina, who would sometimes travel with him and participate in the sales or assist in the acquisition of the firearms for sale. All of these individuals were named as co-defendants in the indictment and pleaded guilty in New York State Supreme Court. Assistant District Attorney Christopher Prevost handled the prosecution of the cases under the supervision of Assistant District Attorney Christopher Ryan, Chief of the Violent Criminal Enterprises Unit, and Executive Assistant District Attorney John Irwin, Chief of the Trial Division. Assistant District Attorney Patrick Doherty also assisted with the cases. District Attorney Vance thanked Special Narcotics Prosecutor Bridget G. Brennan and the Office of the Special Narcotics Prosecutor, the NYPD’s Firearms Investigation Unit, the Rock Hill (South Carolina) Police Department, and the Sanford (North Carolina) Police Department.